I have FINALLY perfected my recipe for low-carb, grain-free, dairy-free cookies! Get excited because your minds are about to be blown. 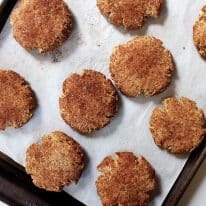 I tested this recipe several times and, with a few tweaks, have the utmost confidence that you’d never even know these are low-carb or grain-free, and neither will anyone else! Promise. Proof: I made a massive batch of these, sent them to work with Ryan, and he reported back that all of his coworkers loved them and couldn’t believe they were low-carb-, keto-, and paleo-friendly! These cookies are made sans gluten and grains! 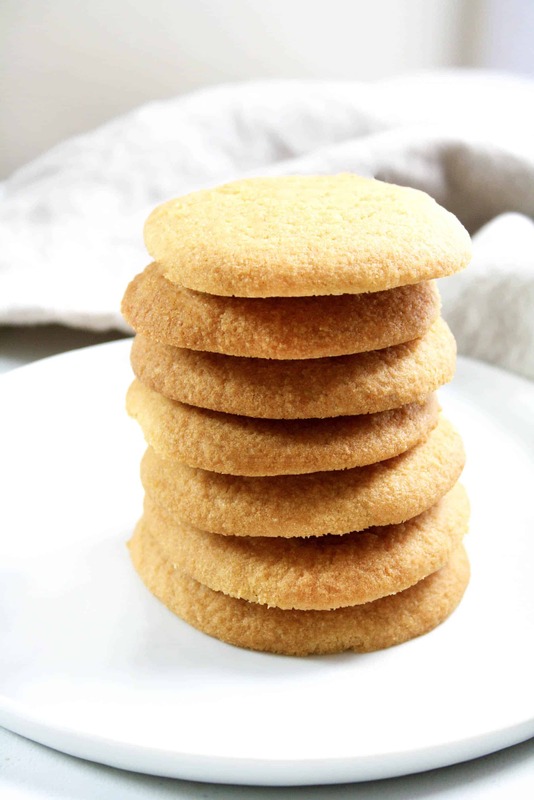 I personally choose to limit my grain intake and don’t eat gluten-containing items so I knew a gluten- and grain-free cookie recipe that tastes just like a traditional cookie was necessary. 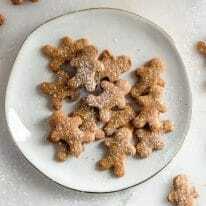 Plus, this recipe is a great grain-free cookie base that would taste delicious with add-ins (walnuts, cinnamon, etc.). As someone who knows all too well that specific dietary requirements determine what a person can or cannot eat, I was determined to make these cookies dairy-free for those who are lactose intolerant or choose to limit their dairy consumption. As per usual, I am #grateful that ghee exists. Ghee, or clarified butter, is melted butter with the lactose removed. For those with lactose intolerance, who follow a paleo diet, or just prefer to eat dairy-free, ghee is about to be your new best friend. Plus, ghee contains MCTs (medium chain fatty acids) making them a perfect nutritional fuel source, especially for all of my keto dieter friends out there. Monk fruit sweetener saves the day, yet again! This stuff is used exactly as you would traditional cane sugar without the spike in blood sugar or the calories! On a low-carb or keto diet? Monk fruit sweetener is about to be your new best friend. In this recipe, I use the Lakanto Golden Monk Fruit Sweetener which tastes very similar to that of brown sugar. So delicious! 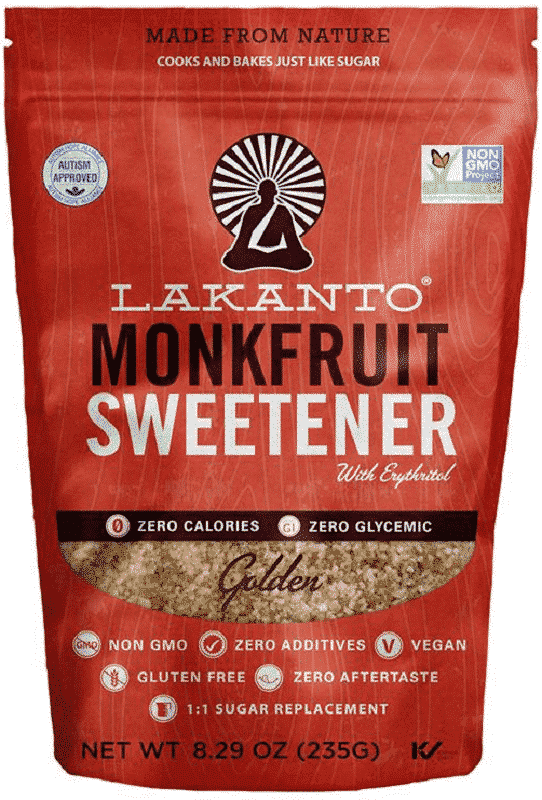 If you’re running low on monk fruit sweetener or if you’ve never tried it before, you can use the code “REALBALANCED” and get 20% off Lakanto products! 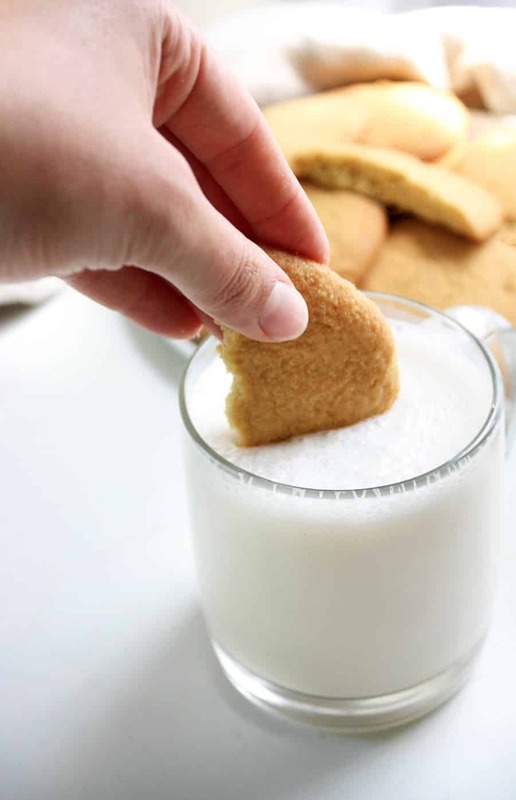 One cookie contains only 1.6 grams of net carbs! 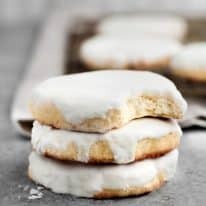 This recipe is a perfect one to keep on-hand for holiday parties, for the kiddos, or just when a craving for dessert hits. Enjoy the decadence of a homemade baked good without the sugar hangover! This recipe is low-carb, keto, paleo, gluten-free, grain-free, dairy-free, vegetarian, and refined-sugar-free. These Low-Carb Cookies are a perfect vegetarian and paleo treat to satisfy your sweet tooth! This recipe is low-carb, keto, paleo, gluten-free, grain-free, dairy-free, vegetarian, refined-sugar-free, and only 1.6g net carbs per serving! In a medium-sized bowl, using a hand mixer, mix together coconut oil and ghee. Once combined, add eggs and vanilla extract. (If not using ghee, combine coconut oil, eggs, and vanilla extract and mix). To the same bowl, add monk fruit sweetener, baking soda, cream of tartar, and salt. Mix using hand mixer until well-combined. Form dough into balls and lightly press down and place on cookie sheet (NOTE: cookies will spread when baking so be sure to place them about 2-3 inches apart. Use a second baking sheet if necessary). Bake cookies for 15-18 minutes, until edges are golden brown. Remove from oven and allow to cool completely before serving. Enjoy! I am interested in making these for my sons birthday, but wondered if they would hold or if they would crumble easily. Hi, Holly! As long as they aren’t left out in a warm room, they will hold together just fine. Enjoy! Hello from Canada! Could I throw in a 1/2 cup dark chocolate chips to make these even more special? I realize the nutritional facts would be altered. Yes! Chocolate chips would be delicious! 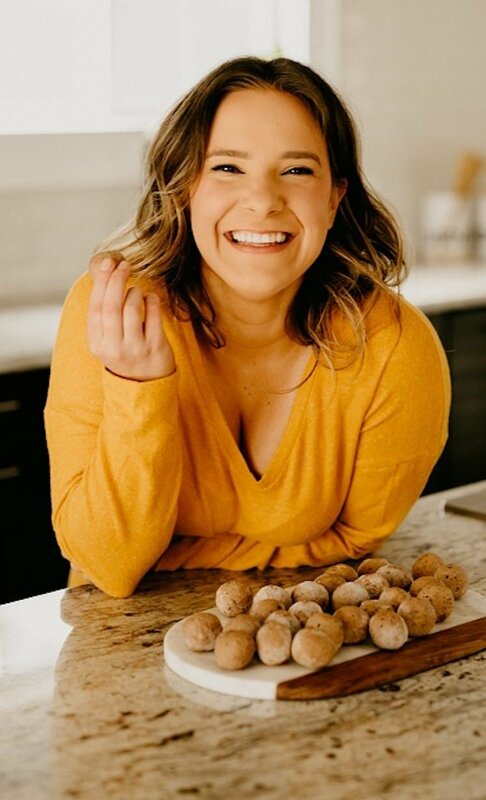 I just came across your website and am so excited to try some of your recipes. Especially the cookie recipe which I can’t seem to find. Thank you for doing the groundwork for so many great favorites. You are so sweet, Judy! Thank you so much!! I hope you enjoy the recipes! 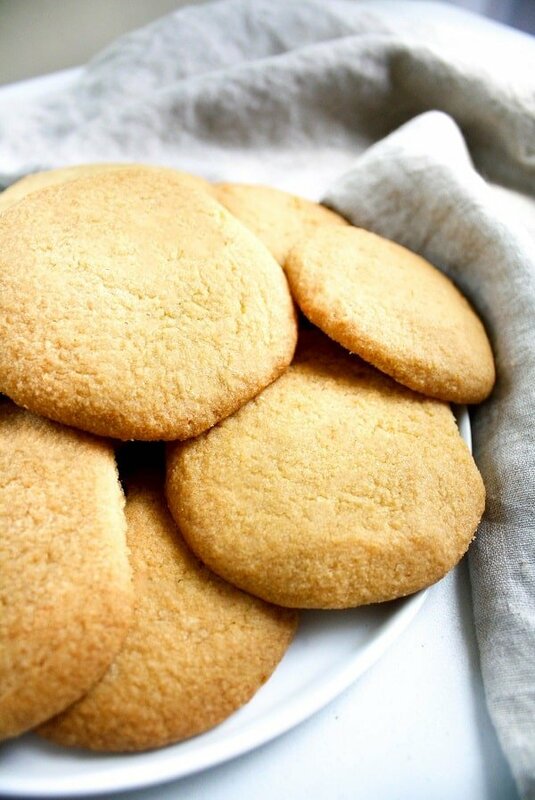 The Low-Carb Cookies are a personal favorite- so easy and delicious! !